Jaguar: Back to the Future. Check this out, especially the last few minutes. Awesome! What an interesting way to keep automotive enthusiasm alive and well. Of course I have questions but I would very much follow a path like this in order to keep cool old cars on the road. I have had a look at the number of vehicles Jaguar produced with the XK6 engine, in all its various guises, and it is a formidable list. 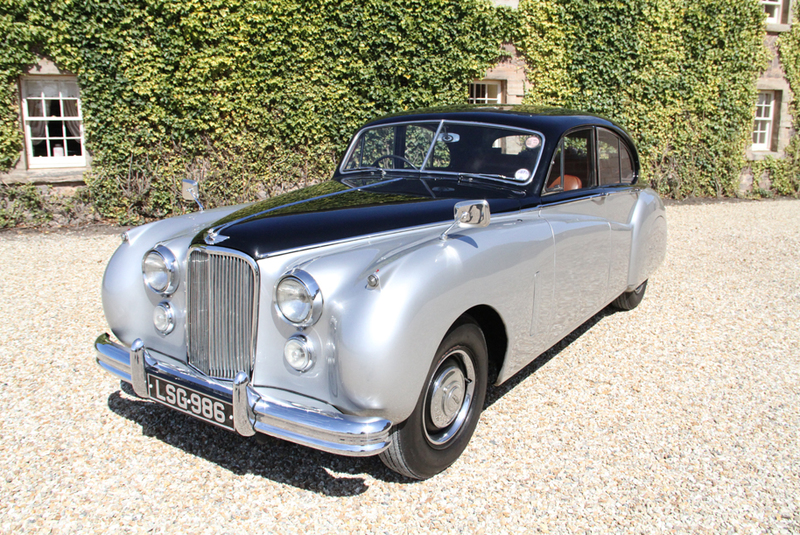 Imagine being able to buy a "power unit" from Jaguar (albeit at a price that would make your eyes water), the fit it, either yourself or have a specialist restorer do it, and your classic is brought into the 21st Century. Now I appreciate that most classic owners want the original engine, but as the man from Jaguar says, in a future when petrol is not available (or use of ICE may even be illegal! ), this is a brilliant solution. Maybe other marques may follow suit. Those with large engines that remained unchanged for a long time. Rolls/Bentley, Mercedes, Ford(!). The list goes on. and my all time favourite Jaguar - the MkVII. When the EV "bugeyed" Sprite is announced, I want one...in red...thank you! Very cool to see an OEM looking to do stuff like this. I must say I'm a bit surprised too, pleasantly so. The Austin-Healey Sprite used the BMC A-Series engine, one of the longest running engines built in the UK, so it would be ideal for a replacement. Only problem would be that such a small engine would only permit a tiny battery, so until battery density improves dramatically, you will just have to dream! This one is still on the go. Ethanol, biomethane and eventually some synthetic fuels from a renewable feedstock might become available more easily, but I honestly have my doubts about a total ban on ICE. What would seem like a matter of higher concern is the lube oil, which might most likely be replaced with castor or palm oil. On a sidenote the Nazis made synthetic gasoline and Diesel fuel out of wood chips in Poland, and nowadays there are commercially-available synthetic lube oils made out of natural gas through the very same Fischer-Tropsch process employed to make gasoline from coal and wood chips. Considering an eventual advantage that an ICE proportionates to the closure of the carbon cycle, and the possibility of using nearly any organic waste as a source of fuel instead of leaving it rot away and release methane and ethanol vapors through the atmosphere, in the end it sounds more reasonable to keep the ICE even taking in account the environmental aspect. I cannot imagine a time when we will ever run out of hydrocarbon fuels, but there may come a time when some countries (or States) totally ban their use. That is not inconceivable. I was thinking '...last few seconds', but you covered it in your second post. I'll bet one would fit in a 1964 1/2 Ford Falcon Futura. Is it BYOB (bring your own body)? Can I get one in basalt/carbon fiber? Landing on the existing motor mounts is a big deal. I've got a stalled out project to do just that with a Lexus drivetrain in an air-cooled VW Beetle. that Sprite would need a single-wheel pusher trailer made from a Vespa motorscooter minus the front forks. In a totalitarian regime, yes, it wouldn't be inconceivable. Such a limit to the range and the possibilities to explore alternate energy sources would be an easy way to keep the population in captivity.